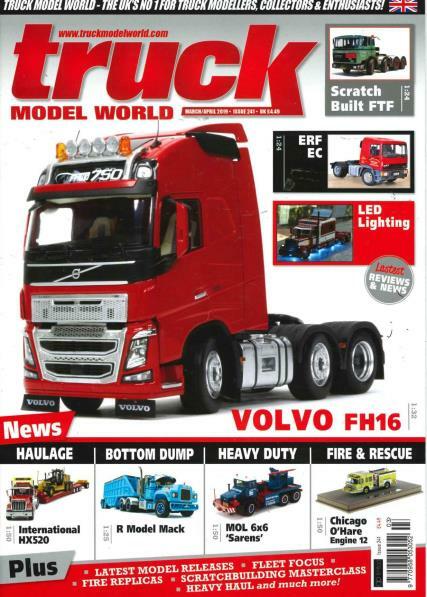 The only magazine in the world keen to the hobby of truck models collecting and construction, Truck Model World is a friendly guide to the miniature HGV and haulage hobby. Each issue of this fairly slight but content-packed monthly magazine contains all the truck modelling news from around the world, including previews of new releases. It covers the art of construction and modification of metal diecast, plastic and resin trucks, with tips on painting and customisation. There is also an array of different features, covering building and modification of models, in-depth looks at some of the best miniature trucks out there, radio control and coverage of the truck model conventions. Truck Model world also offers a calendar of upcoming events, a shopping guide and some great colour photography throughout.